David Kaufman concentrates on derivatives and commodities transactions, mergers and acquisitions and private equity financings. He also has extensive experience with reorganization and insolvency matters. Mr. Kaufman works closely with the firm's financial institution clients in the commodity, equity and credit derivative markets, where his activities are concentrated on assisting the firm's clients in designing and structuring new products and evaluating the securities and commodities law issues implicated by the hedging and monetization techniques associated with these products. His work in this area often involves counseling financial institution clients regarding the particular regulatory, tax, accounting or economic objectives of a new product. In his regulatory work, Mr. Kaufman focuses on the Commodity Exchange Act and the CFTC’s regulations, including the substantial statutory and regulatory changes that have resulted from Title VII of the Dodd-Frank Act. Mr. Kaufman works closely with various large commodities dealers and trading firms, focusing in particular on transactions involving energy, precious and base metals, currencies and agricultural products. His work in these areas has involved structuring and documenting trading, hedging, financing, supply and offtake, storage, processing and tolling transactions, together with associated margin and other collateral arrangements. He also has represented numerous funds and individuals in negotiating and documenting equity derivative transactions designed to hedge and/or monetize large or illiquid share positions. A significant aspect of Mr. Kaufman's work in the derivatives and commodities field involves assisting clients in assessing and mitigating the credit and various trading risks that are integral to derivatives and commodities transactions. In addressing risk management issues, Mr. Kaufman has acquired extensive experience in structuring complex collateral and intercreditor arrangements and liquidation and setoff provisions, and in analyzing such arrangement and provisions under the UCC, other applicable lien laws, the federal bankruptcy code and other insolvency regimes. In his mergers and acquisitions work, Mr. Kaufman represents both strategic and financial market participants, as well as mezzanine lenders, private equity funding sources and key management personnel. Mr. Kaufman frequently counsels holders of restricted or otherwise illiquid capital stock regarding securities law issues relating to the ownership and transfer of such stock. Mr. Kaufman has been ranked as one of America's leading capital markets—derivatives and structured products attorneys by Chambers USA and Chambers Global, is recognized as a leading derivatives lawyer by PLC Which lawyer?, is ranked in derivatives and structured products by The Legal 500 US, and is listed in Best Lawyers in America. Mr. Kaufman speaks frequently on topics, including derivatives, securities and structured products issues. 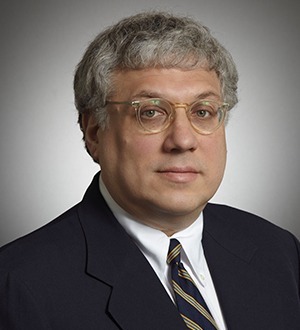 Mr. Kaufman previously served as a member of the Energy Committee of the Association of the Bar of the City of New York and of the Committee on Futures Regulation of the Association of the Bar of the City of New York.